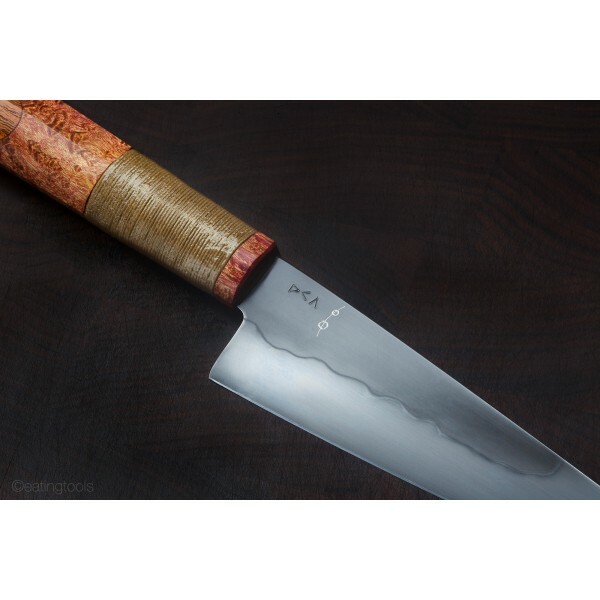 A newer model in Don Andrade's lineup, this 6.25" bladed Utility Chef knife ground from 1095 high carbon tool steel and differentially heat treated to reveal a beautiful hamon is as nice as they come. 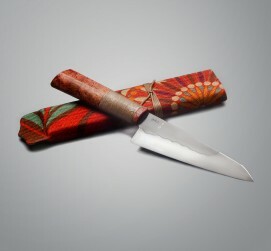 Don uses 1mm woven cotton line and a food-safe epoxy to create an elegant 'Tribal Wrap' that won't absorb food and provides both a functional grip in the right place as well as an extra touch of design to an already sharp looking knife. 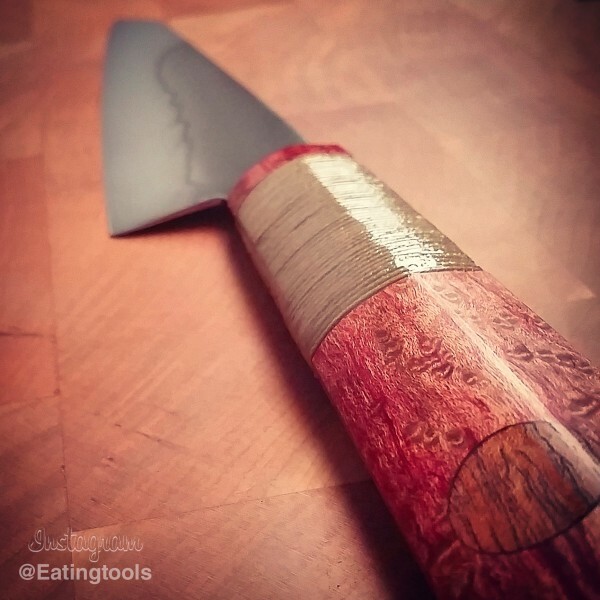 Maple and a mesquite inlay complete a comfortably shaped handle. 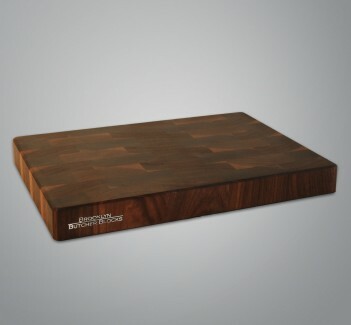 Wonderfully weighted, light in the hand and a thin edge make this mid-size kitchen knife a do-it-all tool for any chef. 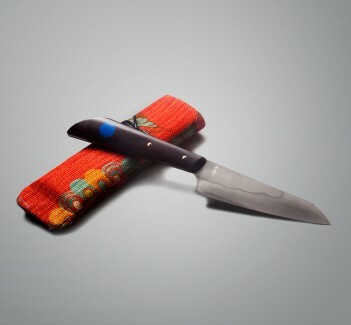 Included is a standard storage case encased with fabric and wrapped with the same woven cotton found on the knife's handle. Don Andrade, owner, craftsman and designer behind California Custom Knives in Los Osos, California creates a variety of chef knives using both hand forging as well as stock reduction techniques. Preferring carbon steel, although employing stainless steel in certain pieces, this particular blade is an excellent example of his experimentation with stock reduction using a belt and grinder, coupled with the differential heat treating technique more commonly used with forged steel. 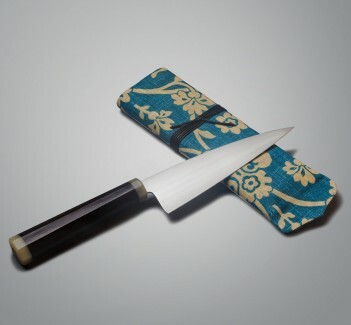 A thin, strong edge will hold its sharpness and the details of Don's finishing work, including the wrapped and inlaid handle mean a one-of-a-kind experience in each chef knife he makes.